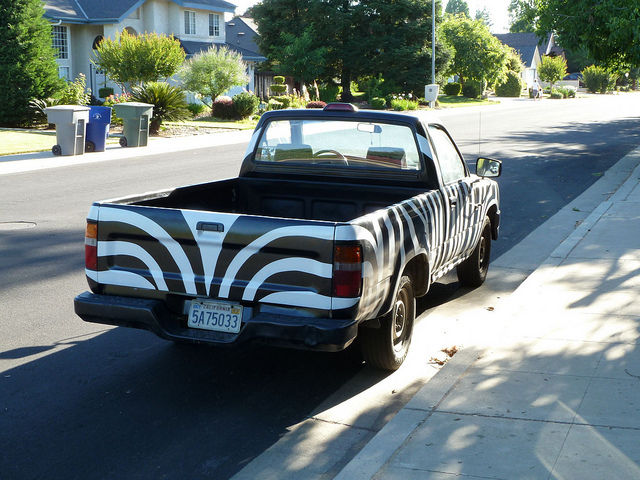 Yes, it’s true, I’m selling my beloved Zebra striped pickup truck! UPDATE! IT SOLD! Thanks, all! 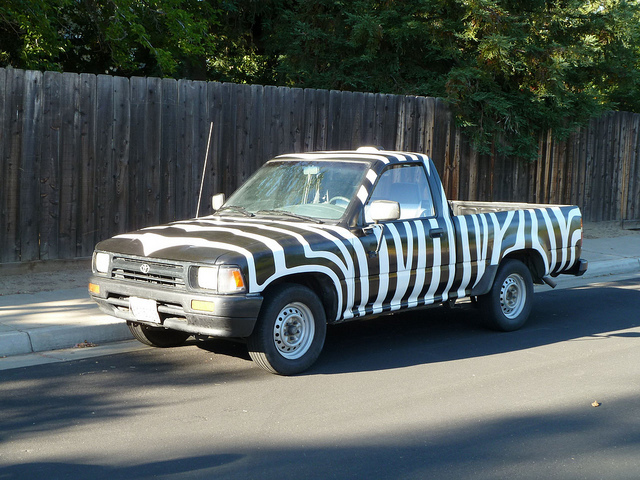 1994 Toyota pickup, 5 speed, 22R-E engine. 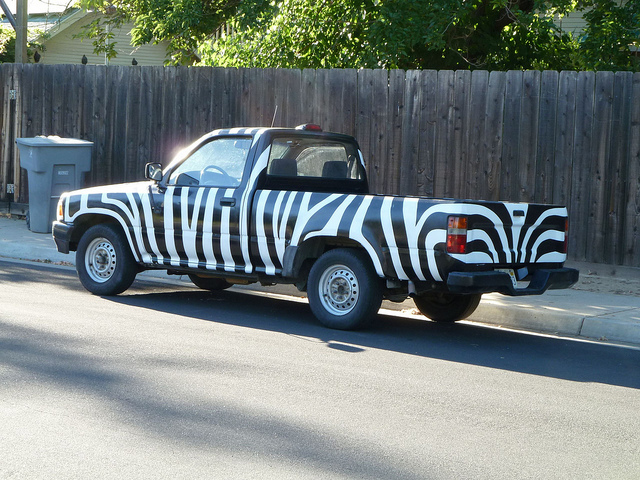 Totally unique paint job, hand designed and painted. Over two thousand dollars in new parts, 286xxx miles, going strong. HOT heater, COLD A/C, good tires. Asking $3,000 or best offer. In short, the top half and front end of this engine are entirely rebuilt! I have all receipts. Cam straps and bungy cords to secure your load. It just passed smog (9/28/11) so you won’t have to smog it if you buy it in the next 90 days. 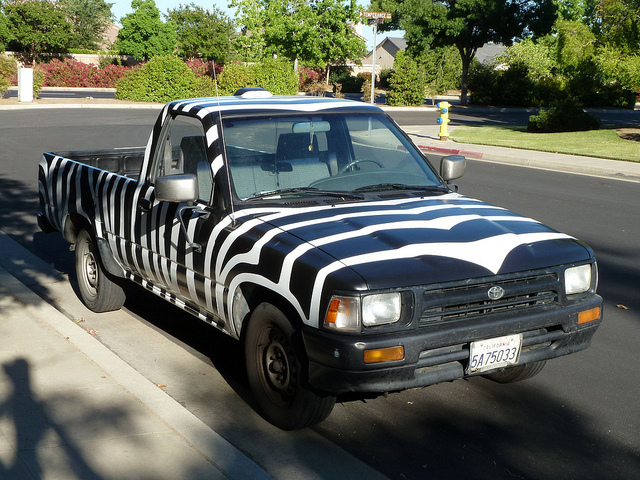 Needs: registration is due, we can talk about who picks that up, it’ll need a timing chain cover in the next few months ($125 part), crack in the lower windshield (legal- out of field of view) and has two tears in the driver’s side seat, minor dents and paint chips, nothing noticeable with that pattern.